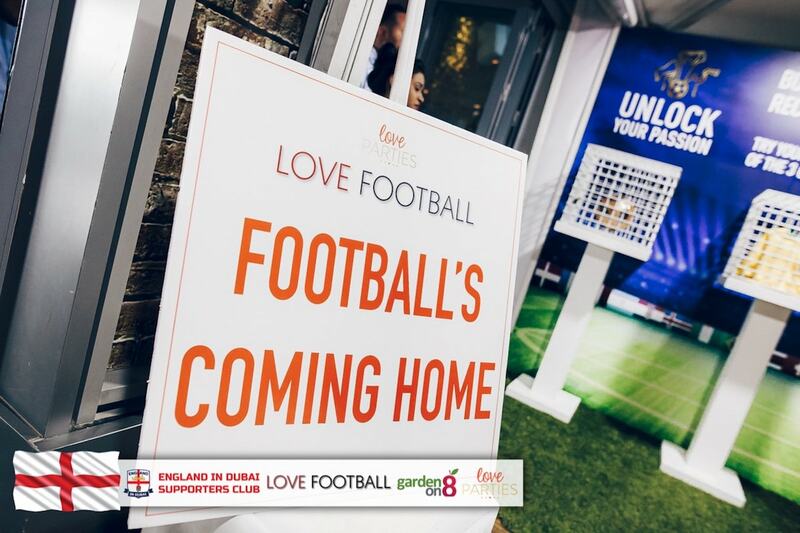 Love Parties are proud to bring you Love Football, this is for the football fanatics to all come together in one place and cheer on their team, with this year being the year of the World Cup 2018 in Russia we are even more excited to create a home for all England Fans at the glorious sports bar Garden on 8 at Media One. 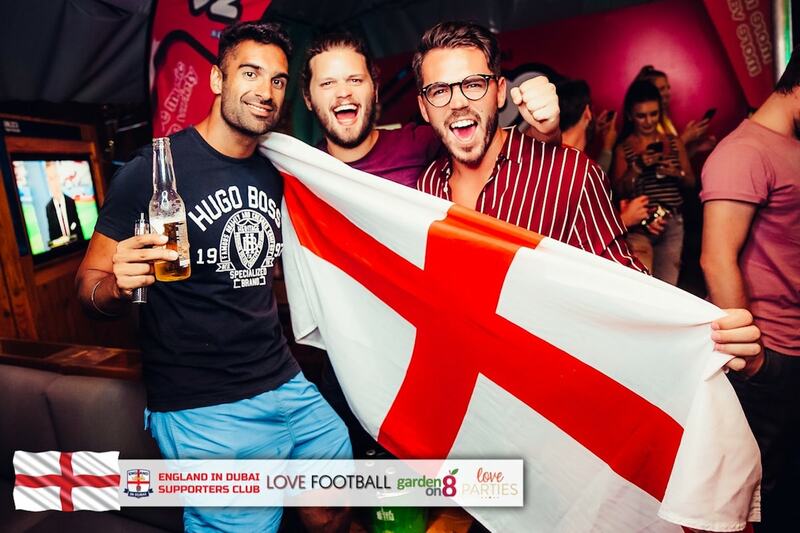  We will be creating the Official home for England fans and have partnered with England in Dubai Supporters club for this special event. 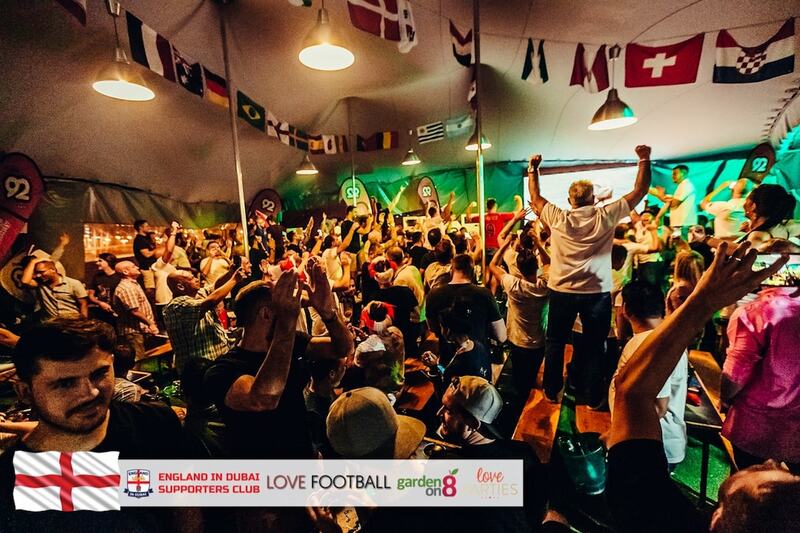  So look no further there is no other place to be this World Cup, Join us for Love Football and stand together to cheer on England! 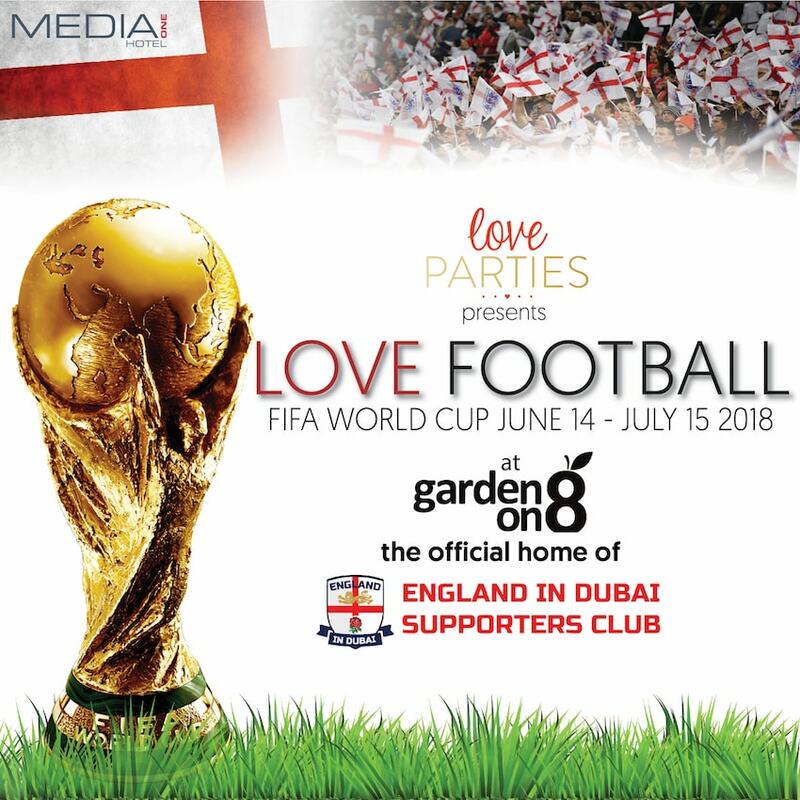  Love Parties are proud to announce the partnership with Media One and Garden on 8 to bring you Love Football World Cup 2018 special. 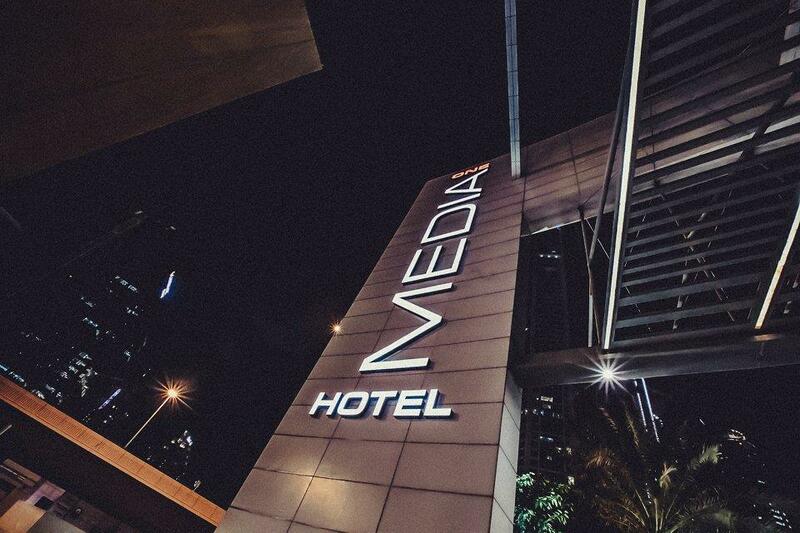 Garden on 8 is located in the prime location of Media City close to Dubai Marina, the famous and multi award winning venue has everything to offer to make this World Cup one to remember, with more than 20 TV screens and 4 Huge Screens inside and out, Multiple bars, a bespoke AC tent for the terrace, and most of all one of the best atmospheres for sports events. 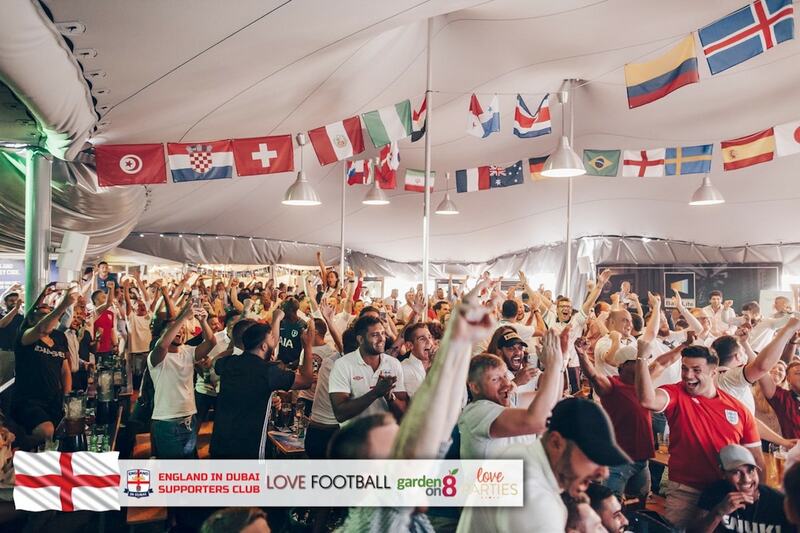 The venue will be made into the Official home for England fans on match days to ensure that this World Cup it’s going to be one to remember.